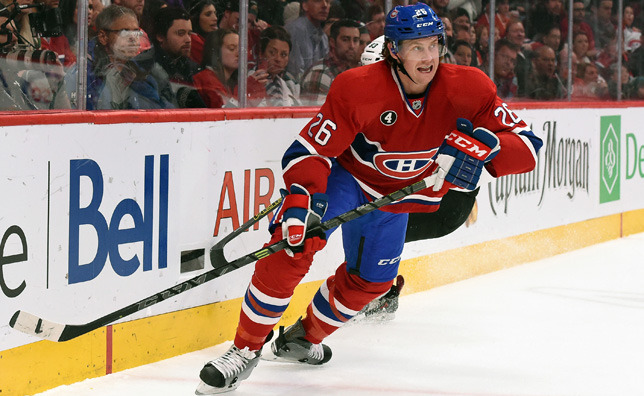 MONTREAL – Montreal Canadiens general manager Marc Bergevin announced on Tuesday that the team has agreed to terms on a six-year contract with defenseman Jeff Petry (2015/16 to 2020/21). Petry, 27, had been acquired from the Edmonton Oilers on March 2, 2015 in return for a second- round draft pick in the 2015 NHL Entry Draft, and a conditional fifth round pick in 2015 (previously acquired from the Colorado Avalanche). In 19 regular season games with the Canadiens in 2014-15, Petry recorded 3 goals and 4 assists, serving 10 penalty minutes with 22:11 TOI. In the playoffs against Ottawa and Tampa Bay, he added three points, including two goals in 12 games. In 59 games with the Oilers in 2014-15 prior to joining the Canadiens, Petry recorded 15 points (4 goals and 11 assists) while logging 20:57 of ice time per game. Since making his NHL debut back in 2010-11, Petry registered 81 points (20 goals and 61 assists) in 314 regular season games with the Oilers and the Canadiens. He scored three power-play goals, one shorthanded tally and one game-winning goal. The 6' 3'' and 198 lbs defenseman also spent 149 minutes in the penalty box. A former Michigan State Spartan (CCHA), Petry amassed 67 points (9 goals and 58 assists) in 118 games at the collegiate level. On the international stage, Petry suited up with Team USA at the World Championship in 2012, 2013 and 2014, earning a gold medal in 2013. A native of Ann Arbor, Michigan, Petry was Edmonton’s second-round selection, 45th overall, at the 2006 NHL Entry Draft.